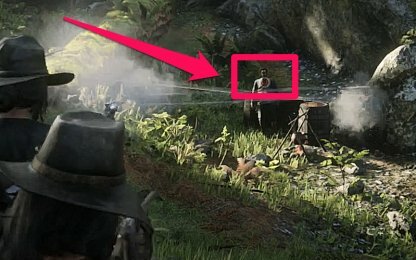 Check out this guide for a full walkthrough of the A Land Of Opportunities - Where Your Morals Lead You from Red Dead Online, including gameplay tips, guides, and more! 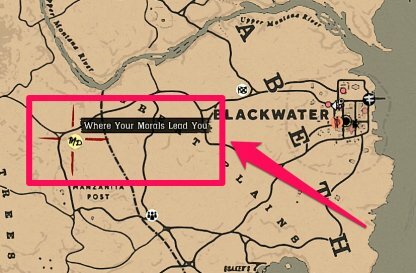 To be able to start this mission, you first need to talk to Horley at Blackwater. He will give you three leads to further progress the mission. 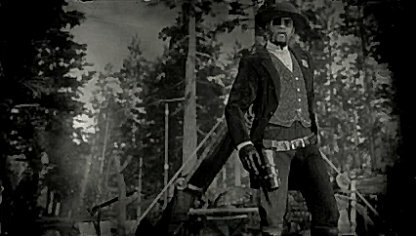 The sheriff of Blackwater can be found in Pike's Basin, to the west of Macfarlane's Ranch. You need to complete this story mission to activate "Where Your Morals Lead You". Check Out If The Hat Fits Walkthrough Here! 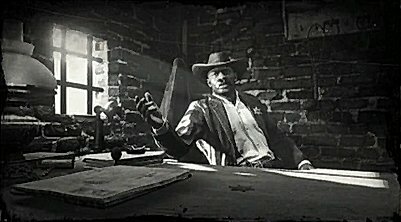 You can find the Tumbleweed sheriff in the Tumbleweed Jail. You need to complete this story mission to activate "Where Your Morals Lead You". Check Out Love and Honor Walkthrough Here! 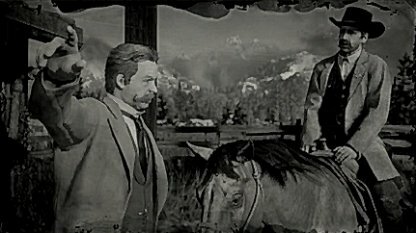 Valentine's sheriff is in the Painted Sky Ranch, found southwest of the town of Valentine. You need to complete this story mission to activate "Where Your Morals Lead You". Check Out The Right Side Of The Tracks Walkthrough! 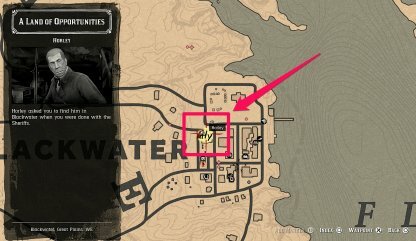 You can find Marshall Davies at his camp in the woods to the west of the town of Blackwater. You can initiate match-making once you approach him. 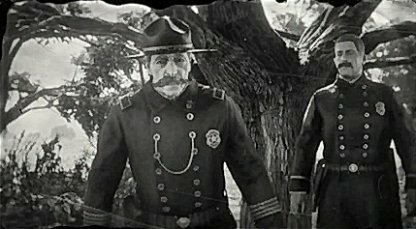 Enemies who are alerted by gun shots will increase the number of men protecting Montez. Try to use silent weapons like bows or knives or eliminate foes quickly to avoid alerting the gang. In this part of the mission, you can either take out the patrol guards or let them pass. This won't affect the story but if you don't take the patrol out quickly, you'll alert other enemies and they'll come to your location. It's best to aim for head shots when you're in a shootout to minimize damage received and save bullets. You'll face quite a number of Montez's gang members. 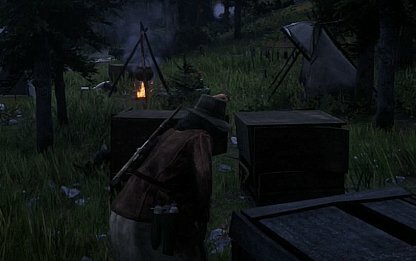 Remember to take cover to defend yourself - use the boxes scattered around to get closer to enemies while protecting yourself.